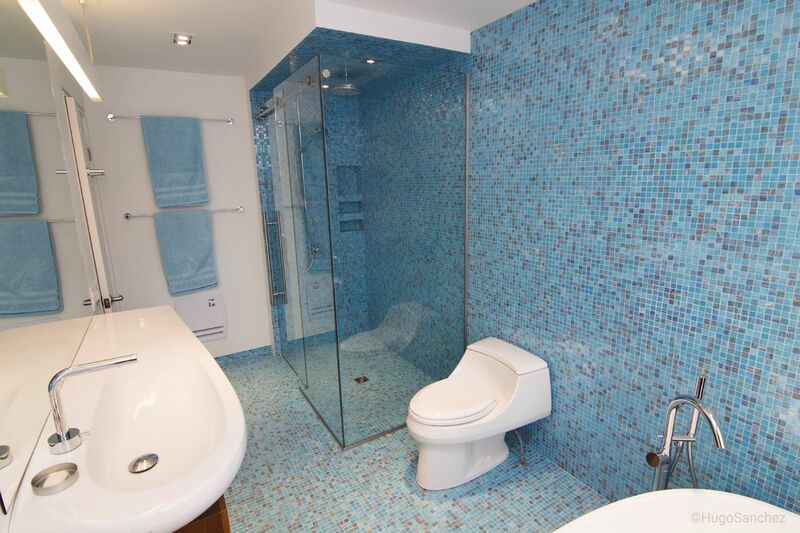 It's hard to tell where the walls begin and the floor ends in this beautiful, blue tiled bathroom with curbless shower. 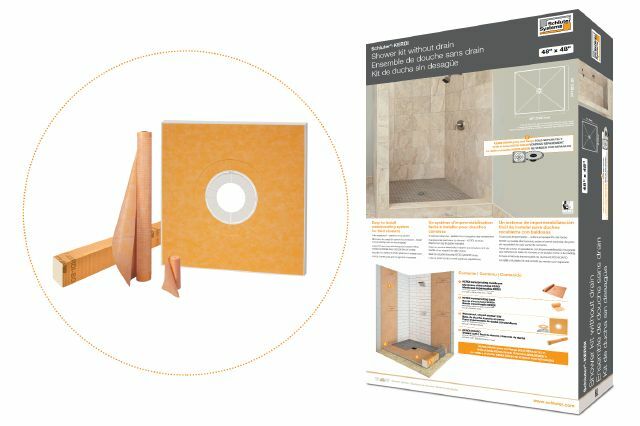 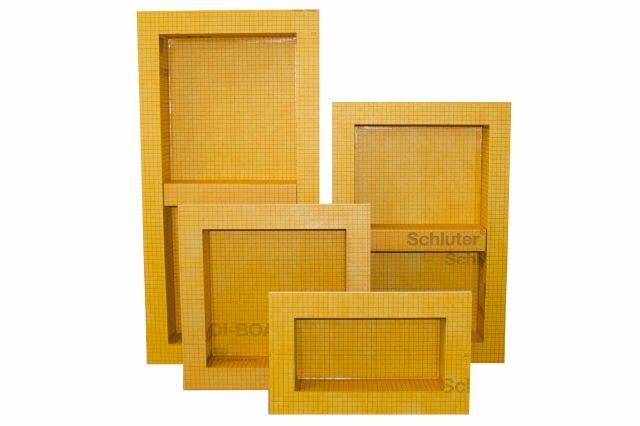 The combination of the Schluter®-Shower System with DITRA on the floor, ensures waterproof dependability in this open-space concept. 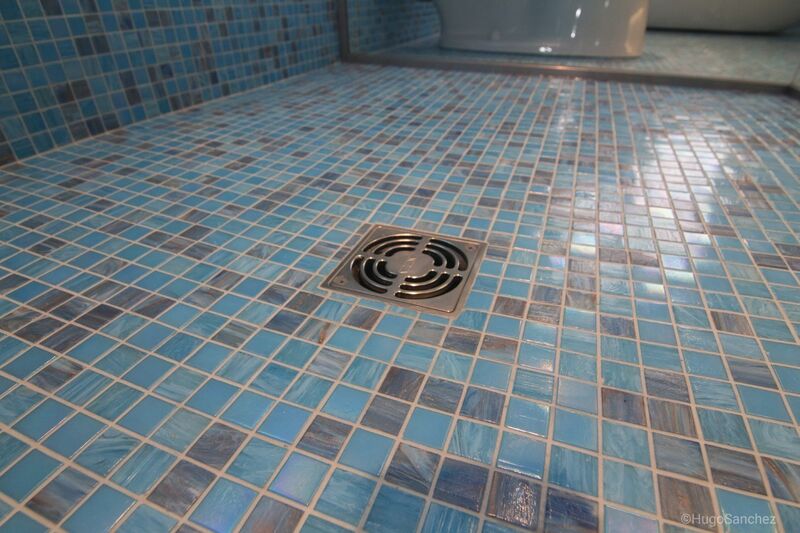 KERDI-DRAIN is integrated into a mortar bed in this open-space bathroom. 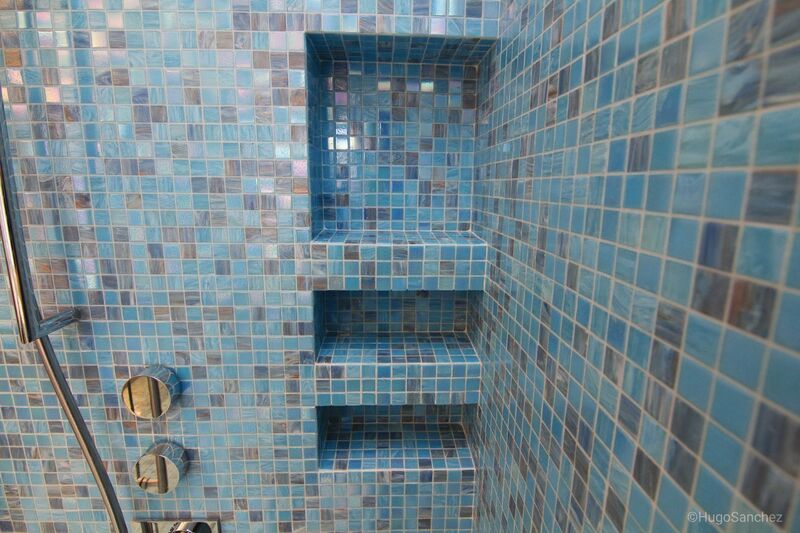 This customized, three-tier shower niche was built with the waterproof KERDI-BOARD building panel and KERDI-BOARD-SN shower niche.